A silver lining doesn’t always come easily. If you are strong enough to intentionally and consistently pursue a mindset that lies in the positive space of a tough situation, you can bring that silver lining to you. Other times, we are lucky enough to have that come through the joy of other people and experiences, when we are struggling to remain on a positive pursuit within ourselves. For me, Hidden Gems was definitely the latter. In March 2018, when doctors informed me that, at a minimum, I’d be missing the bulk of the season due to a viral attack on my nervous system, I was fearful, confused, and angry. At the time, the prospect of Hidden Gems, originally set to be a small community service project I started on the side of my professional career, didn’t seem like enough to sustain my happiness or ease my restlessness. However, as pieces of the impact Hidden Gems was having within our first partner group, America SCORES Chicago, were revealed, rays of optimism that could come out of my diagnosis began to shine through. With the extra time I had away from soccer, I was able to expand to an additional city (Houston) and apply to make Hidden Gems a 501(c)(3) to increase our funding and impact potential. 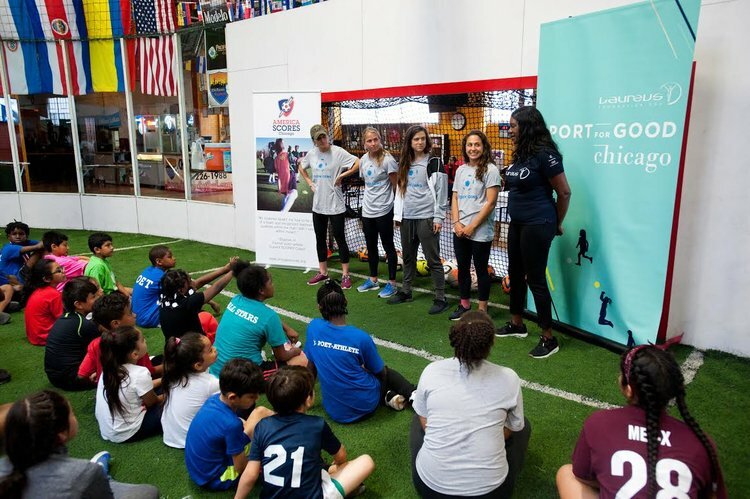 For those of you that don’t know, the purpose of Hidden Gems is to connect girls playing soccer in low-income communities with mentoring professional coaches from the NWSL. 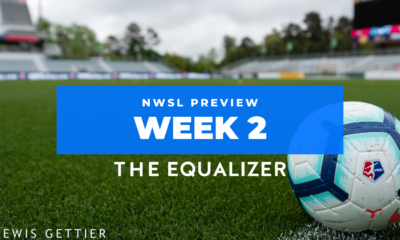 We have a variety of ancillary channels that use soccer as an equalizer for young girls who don’t have sufficient access to youth sports, such as giving them an on-field experience at NWSL games. 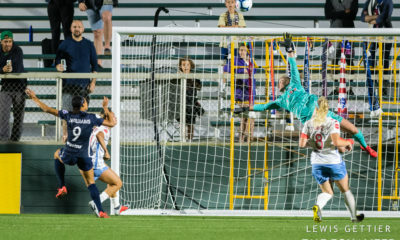 However, our primary service is using our funding to pay the salaries of professional players in the NWSL to coach in programs of existing non-profits in the youth soccer space. 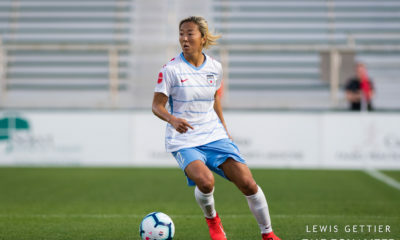 To me, the coolest part of Hidden Gems is that hits two passionate touch points for myself and the NWSL players that work with us as coaches: using our platform to inspire young girls who haven’t been afforded the opportunities they deserve, while simultaneously playing a role in the sustainability of female athletes’ incomes. 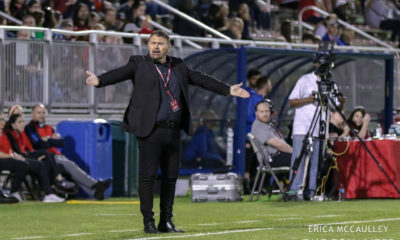 Let me be clear, we in no way “discount” the salaries of our coaches from what they would be getting if they were coaching elsewhere during the season. 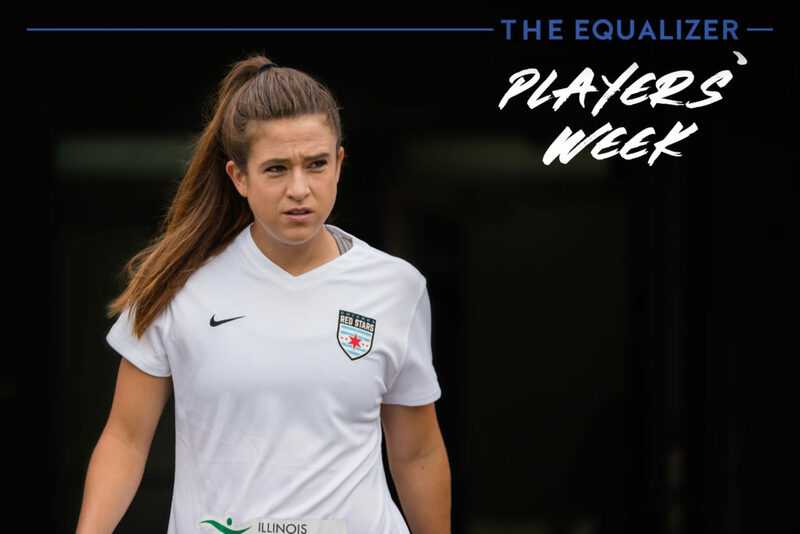 I am extremely passionate about the standards our organization has in this regard, as someone who believes in the ethical and financial standards for gender equality of pay in sport for the future. 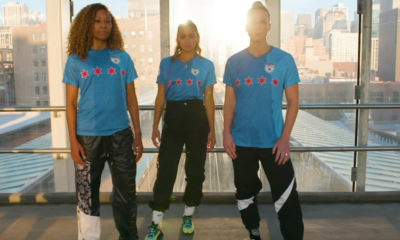 At Hidden Gems, what we essentially have done so far is created a pathway for Chicago Red Stars and Houston Dash players to continue their outside coaching jobs with a clientele that otherwise would not have been able to afford the highest tier of coaches and mentorship on their own. So far, our results have been astoundingly positive. The feedback we’ve received from our coaches and partners has been fabulous. Most importantly, it has been humbling to witness the experience of young girls feeling like they have finally been chosen to get high-level opportunities in the sport we all love. My hope is that Hidden Gems has made these girls who don’t have much feel worthy of human investment and inspired them to reach for their dreams. 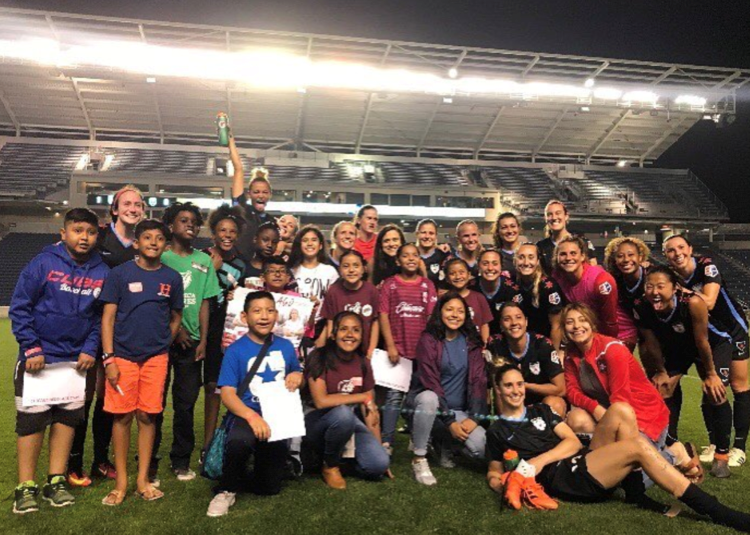 In July, we had our America SCORES Chicago Hidden Gems girls attend a Red Stars game that featured the “women’s confidence panel” speaking event before kickoff. I had a girl come up to me at the panel and share that it was the first time she had instruction on what it meant to be confident in her dreams. Seeing the development of these high-impact attributes in action, coupled with the joy of them running on the field after the game for a team picture, illustrated the powerful effects this experience had. It’s safe to say the future for Hidden Gems is bright. Our new 501(c)(3) status enables us to take on even more in 2019. In addition to expanding to more cities, we’re currently working to increase the number of accessory activities we are involved in by forming creative partnerships with different businesses and universities. Looking at what we’ve done, and the prospect of what’s to come, let’s just say the term “silver lining” no longer does this organization justice.